These days it's the hot potato, and often daily in the news that there is a 7 week long stand off in the Doklam plateau. And today also there is some news that Indian army, as well as China's PLA, has started deployment of troops in the vicinity of Doklam. Why is India taking so much interest in Bhutan's political affair, to the point it may have to go to war for the sake of other country's interest? India and Bhutan have shared a friendship treaty since 1949 that was renewed in 2007. Per these treaties, India offers its assistance to Bhutan for the defence of its territory. Bhutan actually requested assistance from Delhi in the Doklam dispute, after which India sent forces. India has several other boundary disputes with China. Not backing Bhutan and conceding the Doklam plateau could be considered as a sign of weakness and encourage Beijing to bold moves in Aksai Chin or Sikkim. On some forums I've read that if the plateau was in Chinese hands it would give them a huge advantage (highest ground) for any attack on India's Siliguri "chicken's neck". Also, that would place Timphu, Bhutan's capital, within reach of Chinese artillery, and thus Bhutan would become almost impossible to defend. However this information seemed to come from writers with a subjective (Indian) angle, so until it gets more documented I've no idea how much of a difference the plateau actually makes from a military point of view. It is because the "Doklam" is not far from Indian territory, and in particular is not far from the so called "chicken's neck". 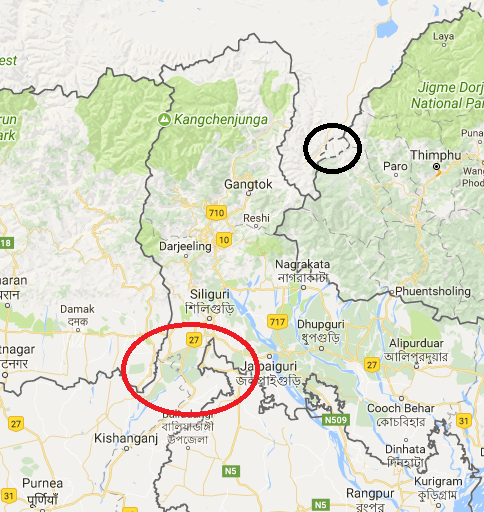 For India this "neck" is a strategically important piece of land, that (in case of open conflict with China) if it would fall in enemy hands would cut land connection to India's north-east, meaning that India would probably lose that territory in a war. So by keeping China away from the border, India keeps them away also from its weak spot. [the] game of provocations and squizzing some military advantages is much more subtle that direct attacks. Clearly China doesn't intend to invade India, neither from its own soil nor from Bangladesh (which probably wouldn't be more practical at all), but it tries to put pressure on India. If Doklam's plateau is recognized as chinese, chinese army will be able to manoeuver there at will. 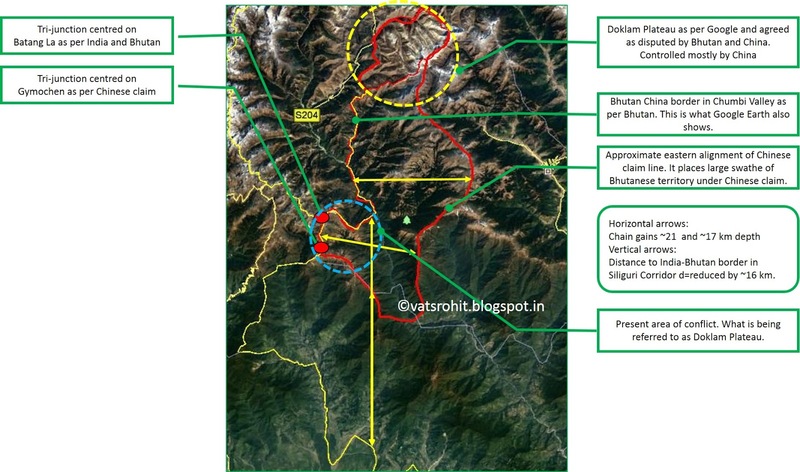 In June 2017 a military standoff occurred between China and India as China attempted to extend a road on the Doklam plateau southwards near the Doka La pass. Bhutan has formally objected to China's road construction in the disputed area. I.e. : China is building a road through the plateau area. A road that would allow China to easily reach the triple junction, and thus have a military advantage in case of confrontation with India. Not the answer you're looking for? Browse other questions tagged india china doklam bhutan or ask your own question.